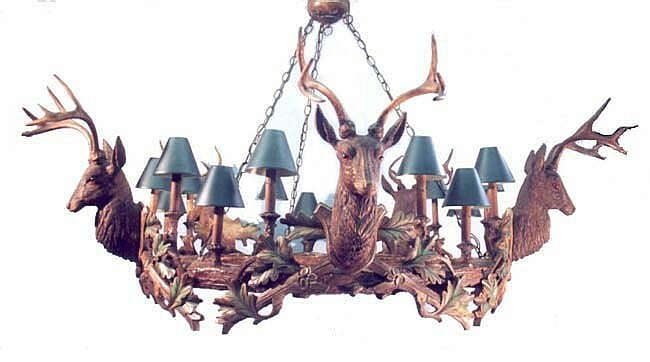 Description: Five 12"h stag head chandelier; with 44" ring of green or brown oak leaves create this six foot chandelier. Takes 10 bulbs (60 watts) and has drip candle covers. Three shades available; dark, medium or light brown. Resin & steel. Shades extra.